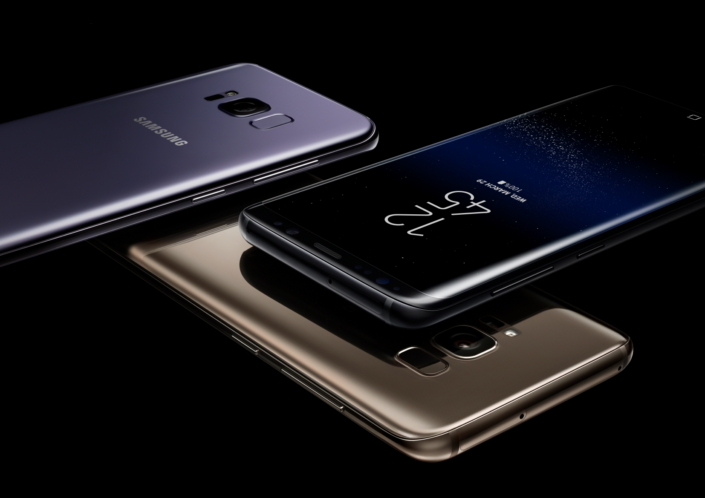 Samsung officially unveiled the Galaxy S8 & Galaxy S8 Plus smartphones at the Galaxy Unpacked event in New York on March 29th. The devices are already made available to pre-order in most of the Western nations along with its home country, South Korea. The sale of these devices will start from April 21st in most part of the world. We have also seen the 6GB RAM variant of the Galaxy S8 and S8 Plus which are limited only limited to South Korea and China. The company is also offering a Gear VR headset along with the Oculus content for free in most of the markets. Now, Samsung has started a shipping a surprise gift to those who already pre-ordered the device in the U.S. The company has already shipped an amplifier speaker dock, and those who haven’t received might get one in the next few days. Also make a note that, the gift will be sent to those who pre-ordered on the company’s official website. Along with the free gift, the consumers also need to know that the device will not include all the features of the Bixby, the digital assistant introduced alongside the device to compete with Alexa, Siri, and Google Assitant. availability of the missing service, the company mentioned to bring the Bixby Voice for the U.S markets later this spring, and the European markets will get it in Q4 2017. No one might have expected the delay in the much hyped Bixby Voice feature that too from the world’s largest smartphone manufacturer. We don’t how many will be using the half baked Bixby instead of the fully functional Google Assistant which is also available on the devices. Interestingly, the Galaxy S8 and S8 Plus smartphones come with a physical hardware button on the left edge to activate the Bixby Voice, and now that will be useless until the company comes up with the complete features. There is already an app for adding the custom functions for the Bixby button. Samsung offered similar functionality as a built-in feature with the Galaxy S7 Active launched in the U.S. The Google Assistant also support more languages than Samsung’s Bixby. HTC Sense Companion which works on top of the Google Assistant was first unveiled at the HTC U series launch event in the U.S. This feature was made available to the users via OTA update only after a couple of months. Share your opinion on the delay of the Bixby Voice feature by the Samsung in the comments section below.